Jack Green is used to overcoming barriers as he does it for a living; a living he nearly gave up just two months ago after the onset of a serious bout of depression. 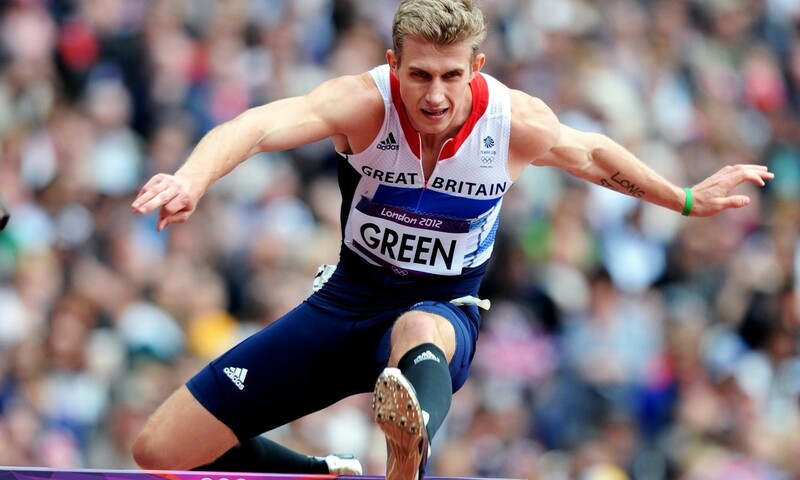 Green’s battle with depression has been well-documented since he went public on his illness in late 2013, having suffered for a year following a frustrating exit from the 2012 Olympics in his 400m hurdles semi-final. The 24-year-old is currently in pre-Olympic mode after securing his place to represent Great Britain in Rio at his second Games with a second-place finish at the British trials behind Seb Rodger. An appearance in the European final in Amsterdam – albeit an unfinished one after a chop in his stride up to the first hurdle left him playing catch-up round to the top bend where he was forced to concede his race was up – and a relay bronze medal leave him well placed to look ahead to Brazil in a month’s time. But it may not have been this way just a couple of months back. An injury just a week before his heat at the World Championships in Beijing last year and a difficult financial situation after a move to train at the IMG Academy in Florida left him questioning his belief in himself right up to the start of the season. Coming off his meds isn’t something Green has taken lightly. He was still on them when the season kicked off in early May, coinciding with a disappointing DNF in Italy in his first outdoor race of the year before speaking with a psychologist in Florida and deciding to pack them away. Being on anti-depressants Green says puts him in a “box” which, while critically important for him when it comes to fighting his demons, doesn’t enable him to perform to his full capacity. The decision, he confesses, is a risk, but a necessary one in an Olympic year. Green made the decision to return to the UK after time spent working with renowned coach Loren Seagrave, the man who coached LaShawn Merritt and Angelo Taylor to Olympic gold; a decision financially rather than athletically motivated. Instead of Florida, Green now bases himself in Loughborough closer to support networks unreachable from the other side of the Atlantic. He’s sacrificed a lot to get back to where he is as the current UK No.1 and a pivotal member of a 4x400m relay team fancied for a medal in Rio. “I spoke to my psychologist in Florida and said ‘I’m done unless we can fix something.’ We tried to change my stride pattern back to what I was doing as a kid. I said ‘if this isn’t going to fix it then I’m done’ and then started running really well,” he added. “It’s not that I don’t have my bad times anymore but I’m enjoying my running again. “I’m last at 300m and I quite like that. It’s how I used to run. I like coming through at the end. Anyone who watched me as a kid and anyone who knows me they know don’t worry at 300, I’m going to come through. Green says he’s matured since being the expectant youngster he was in 2012. His journey over the past three years has helped him gauge a better perspective of where he is now, and where he wants to be. He wants to achieve in Rio and is confident he can but acknowledges how fortunate he is to be in his current position. “I’ve already had a great summer, I’ve run my third fastest time ever. For someone who was going to retire not too long ago I’ve run my third, fourth, fifth, sixth quickest times,” he said. He continued: “It’s been well documented that I was extremely suicidal in that time. I can speak on that side of things of how rough it can get. People from the outside look in and it’s a great life. I have got a great life but it doesn’t mean I can’t suffer from bad times. The hurdles Green has cleared, and continues to face, are greater than any he’ll encounter on the track in Rio.